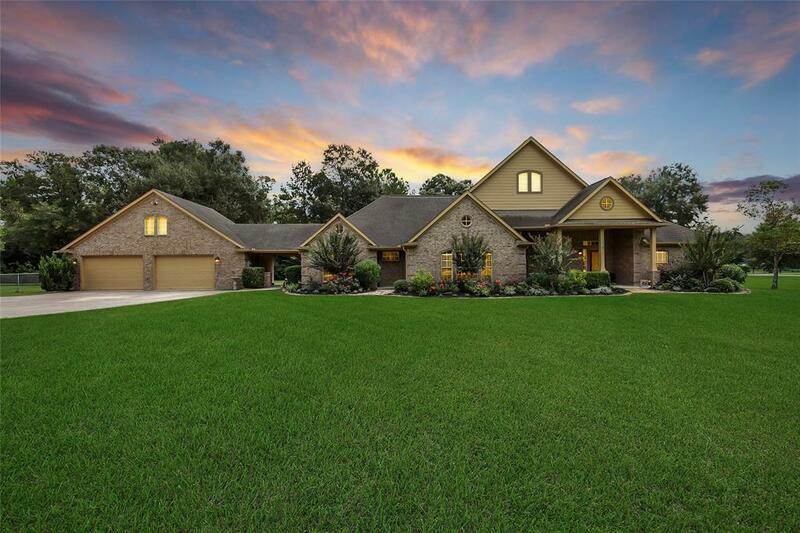 Country Luxury Living on 3.36 Acres that Sits on a Corner Lot. 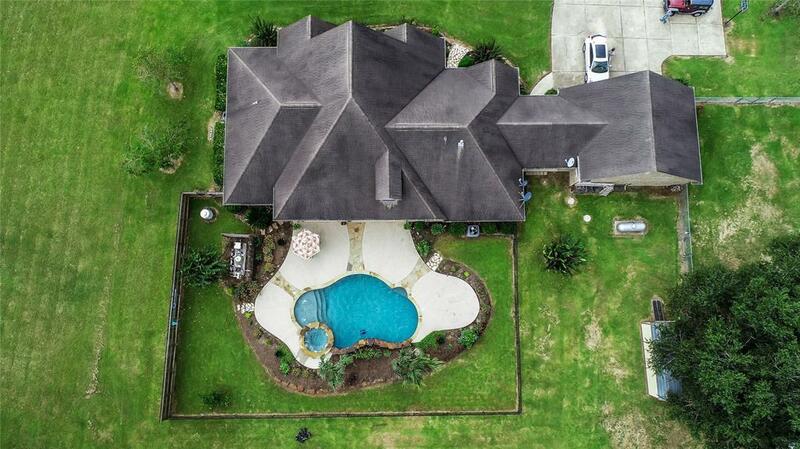 Built to Entertain with Custom Salt Water Pool and Game/Media Room Sitting Upstairs. Beautiful Open Floor Plan with TONS of Natural Light, Art Niches and Archways Highlight just a Few of the Features. 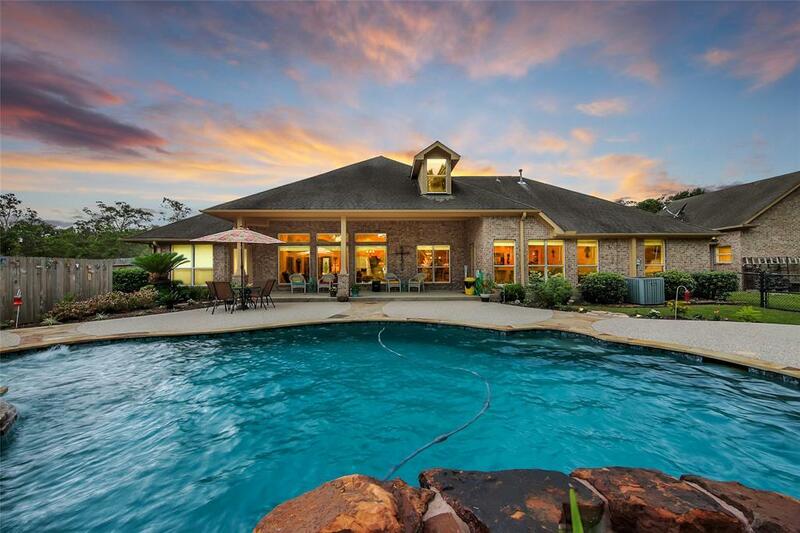 4 Bedrooms with Study/Bonus Room along with Formal Dining that WOWS. 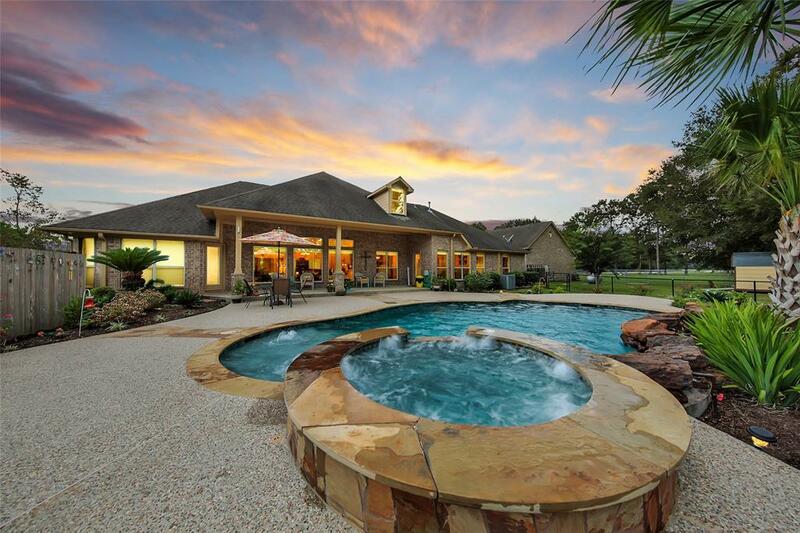 Stunning Backyard Area with Covered Patio and Salt Water Pool with Jacuzzi. HUGE Chef's Kitchen with Pendent Lighting, Island, Walk-In Pantry and Cabinets Everywhere. Master Bath with Custom Jacuzzi Garden Tub with Radio, Lights and Jets. Recessed Lighting Throughout with Ceiling Fans in all Bedrooms. Over 3 Acres of Peace and Privacy are Waiting for You! Schedule Your Appointment Today.